Feel part of your favourite team and explore every detail of Real Madrid City. From the swimming pool and the gym to their own bedrooms, this amazing tour in virtual reality and 360º will let you discover exclusive details of the greatest football team. 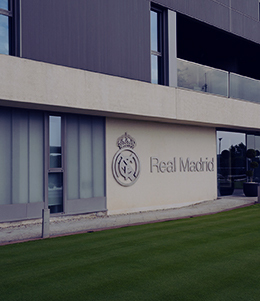 Guide your family and friends in this amazing tour and become an expert of the sport facilities of Real Madrid CF. You will be able to get immersed in every corner of the amazing Real Madrid City. Start feeling the place where all your dreams come true.